Dive into all that the Al Maha Desert Resort has to offer through camel treks, four-wheeling adventures and much more. Go from the excitement of the desert to fully immersed in the history of the magnificent city of Dubai. While staying in the world-renowned Armani Hotel, you will find yourself surrounded by some of the world’s most glamorous retailers. 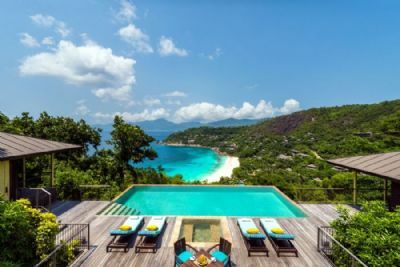 Allow yourself some peaceful time to relax and recharge in a hillside villa in Seychelles overlooking the Indian Ocean. It’s certain that the adventures in the desert, the awe-inspiring city, and the powder-sand beaches of Dubai will leave you breathless. Mahe, the main island of the Seychelles, is also the least known. This 58 sq. mile island is a hidden paradise, well worth exploring.